At Easirent we have a variety of vehicles on fleet that are not traditionally available from other hire companies. 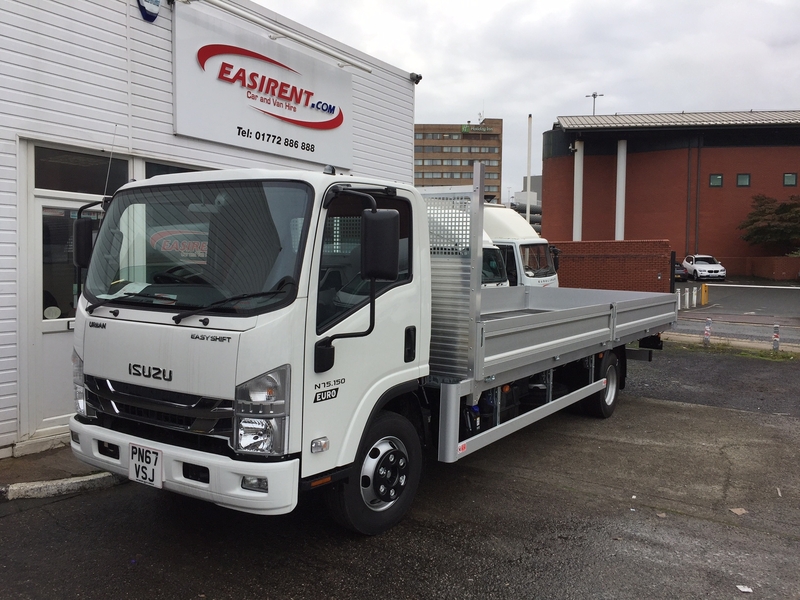 One such vehicle is the Isuzu 7.5t Dropside that we have on fleet and ready to rent. This vehicle is new to our fleet and at 23 feet long is ideal for larger items that need to be transported from A to B. Traditionally hire companies only have 3.5t Dropsides on fleet with a bed of just 13ft 10” long. The 7.5t Dropside we have on fleet could easily be used to transfer Scaffolding, Pallets, Sand, Machinery and Gravel to name just a few of the uses for this brand new 7.5t Dropside. To rent this vehicle call Easirent on 01772 886 888 and ask for 7.5t Dropside hire. 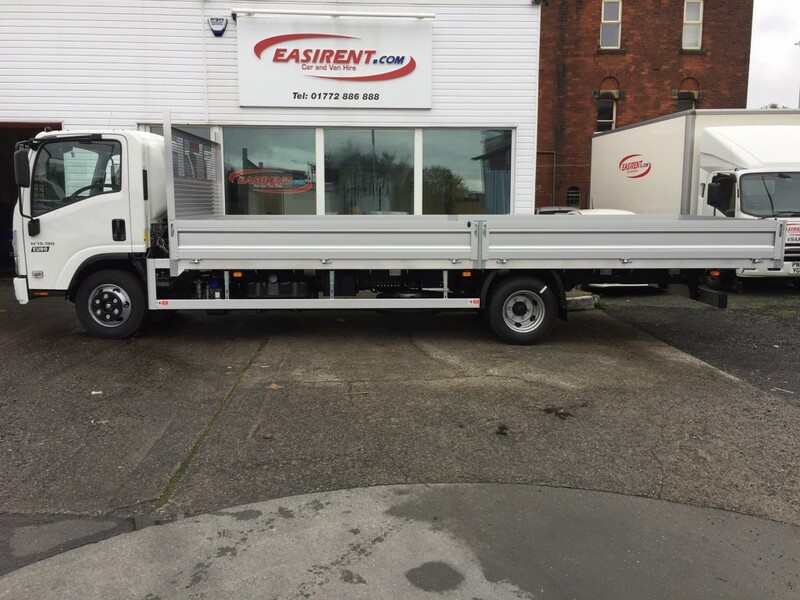 At Easirent we strive to cover all your transport needs which is why we have experienced staff to answer your calls and one of the most diverse fleets of vehicles in the market. As well as the 7.5t Dropside to rent we have Campervans, Motorhomes, Cars and from large 7.5t Trucks to Smaller Peugeot Partner Vans.